Scottish Office Minister Lord Ian Duncan has astonished the political world by suggesting the UK should have its own agriculture and fisheries policies from Brexit day in March 2019. Speaking at NFU Scotland’s autumn conference at Birnam, he said the UK could walk away from the Common Agricultural Policy and the Common Fisheries Policy 17 months from now on the second anniversary of the triggering of Article 50. These policies would therefore not be part of the two-year transition deal sought by the Prime Minister in her Florence speech. Lord Duncan has apparently speaking with the approval of the Defra Secretary Michel Gove. “We believe taking UK farming out of the CAP during transition is the right thing to do. As farmers you will be better off,” Lord Duncan told the NFUS members. He added: “You will get your money. The news however completely astonished not only the NFUS leadership but also Scottish Government Brexit Minister Mike Russell who was sharing the platform with Lord Duncan when he dropped his ‘no transition’ bombshell. Mr Russell said: “This is not what we understand. We cannot be both in and out. “Ian Duncan has just contradicted the Prime Minister’s Florence speech. Taking fishing and agriculture out of the transition arrangements would be very difficult and add greatly to the confusion. Lord Duncan, a former MEP, insisted this could well be the case and Brexit talks could be made easier by taking agriculture and fishing out of the equation. “There is no such word as ‘transition’ in the EU lexicon. Everything can be negotiated,” he said. He also hailed an early exit from the CAP as being a chance to reduce regulation while at the same time being free of the threat of ‘multi-million euro’ fines from the EU. Mr Russell meanwhile warned of the risk of ‘unintended consequences’ if regulations were discarded without sufficient thought being put into the process. “If you think the CAP is complex you should have a look at the WTO,” Scotland’s Brexit Minister Mike Russell told the NFUS autumn conference. He had recently attended talks at the World Trade Organisation’s headquarters in Switzerland and came away concerned about the organisation’s ability to object at will to any UK/EU trader deals. “There are 160 members in the WTO and any of them can object to schedules which have been tabled,” he said. If there was any agreement to be found between Ian Duncan and Mike Russell it was over the importance of migrant labour to Scottish agriculture and the food sector. Lord Duncan said: “A Seasonal Agricultural Workers Scheme (SAWS) is absolutely required. NFUS president Andrew McCornick had already said trade, labour and agricultural policy were the three key areas which had to be resolved. “Of these labour is the low-hanging fruit and the issue which can be resolved quickest,” he added. Lord Ian Duncan’s suggestion that the UK could have its own agricultural policy in place only 17 months from now was greeted with amazement. Once the news had been digested the questions began to arise. Where does this leave Mrs May’s offer to pay 20 euros into EU coffers during a two year transition period?” Will she now reduce this by the 6bn euros annually which would have come back to the UK to fund agricultural support? Lord Duncan’s proposal is based in the assumption that farm support is guaranteed to match present EU levels until the ‘end of this parliament in 2022’, but what happens if there is an election much sooner? 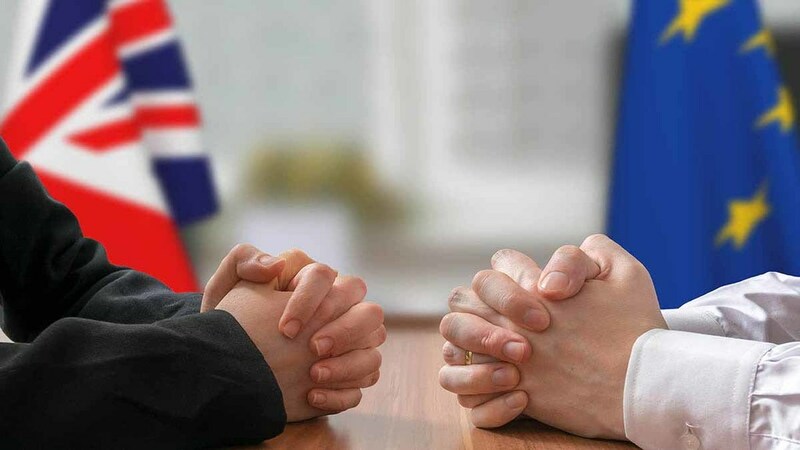 If the two-year transition talks end with an agreement to have close relationship with the EU will where will that leave an isolated British Agricultural Policy with different regulatory requirements? This could have a bearing on future non-tariff or low tariff trade deals. Or is this an opportunity to put agriculture and food in the vanguard of Brexit despite the risks?